During a recent trip to the Le Marche region of Italy in the Apennine Mountains, I had the good fortune of crossing paths with some fresh truffles. 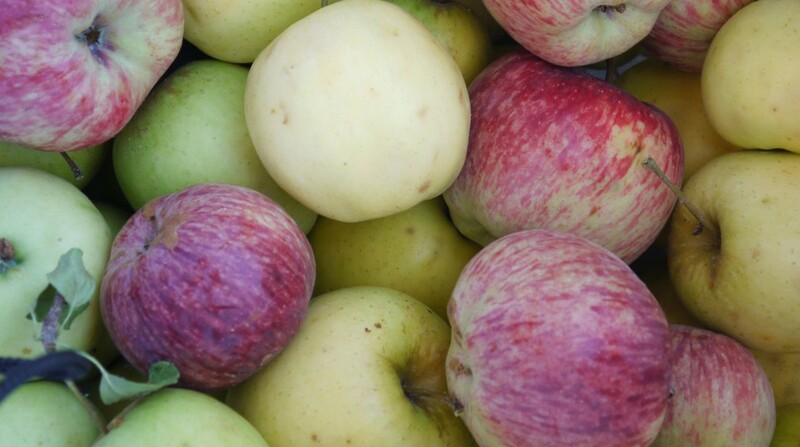 The white ones (on the left sitting on the white napkin in the above photo) have a distinct yet subtle flavor and tender texture while the black ones are stronger and firmer. White truffles are lots more expensive than their black cousins at about $260 per ounce vs. $35 for the same volume of black ones. 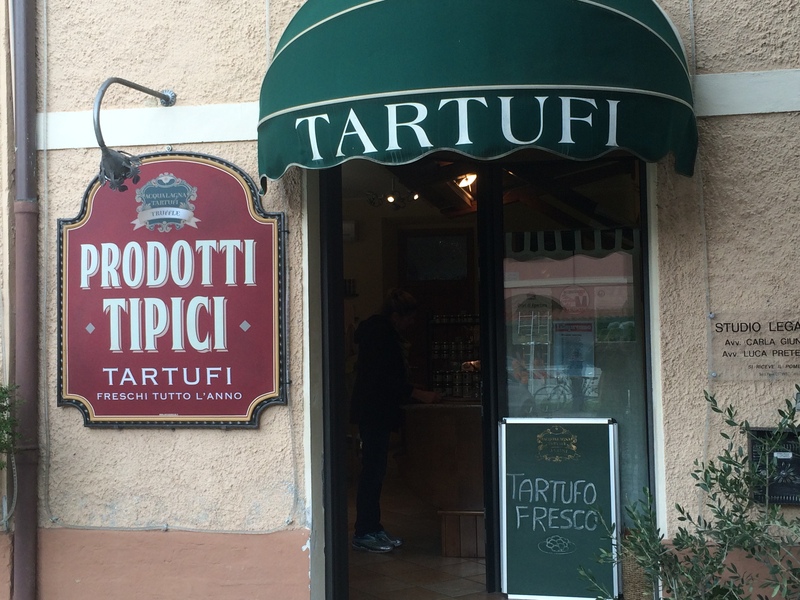 We visited the village of Acqualagna, the tartufo (truffle in Italian) capital of the area and went to a store that specialized in fresh truffles and products made from them. 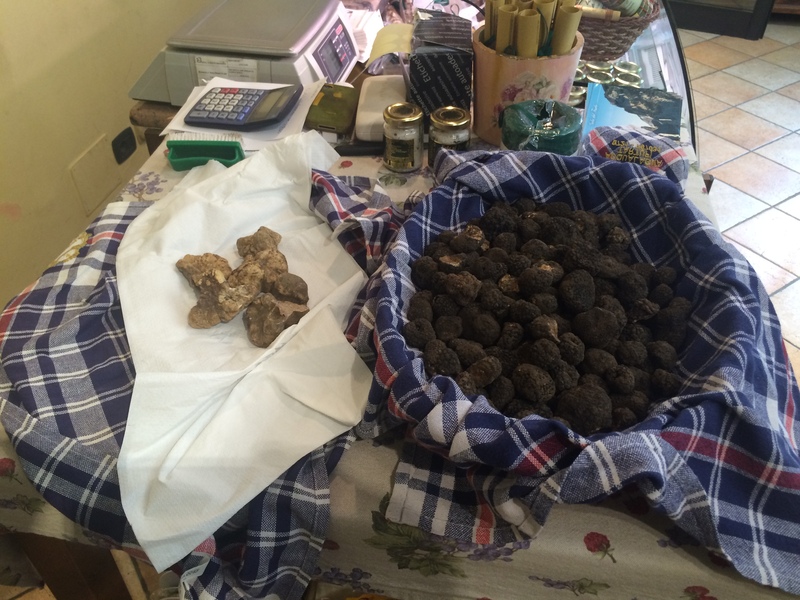 Black truffles were at the end of their season; they are mostly harvested in Le Marche in the late summer months. It was just the beginning of white truffle time, which will last until December. The store had truffle sauces, salts, oil, even chocolate infused with the aromatic fungi; it was quite a treat to experience such a place. Next we drove to Urbino, a classic Renaissance town with a thriving university. 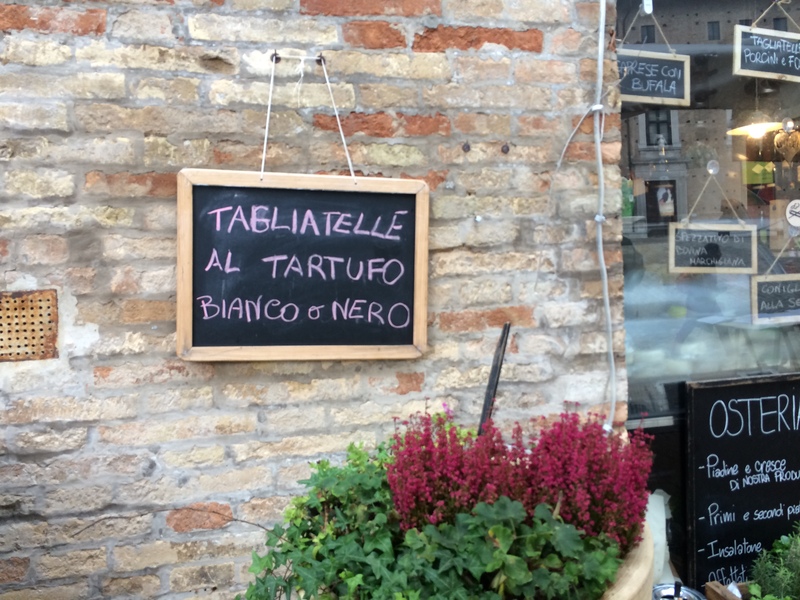 Amongst the ancient buildings and religious art were restaurants celebrating tartufo in all their glory. 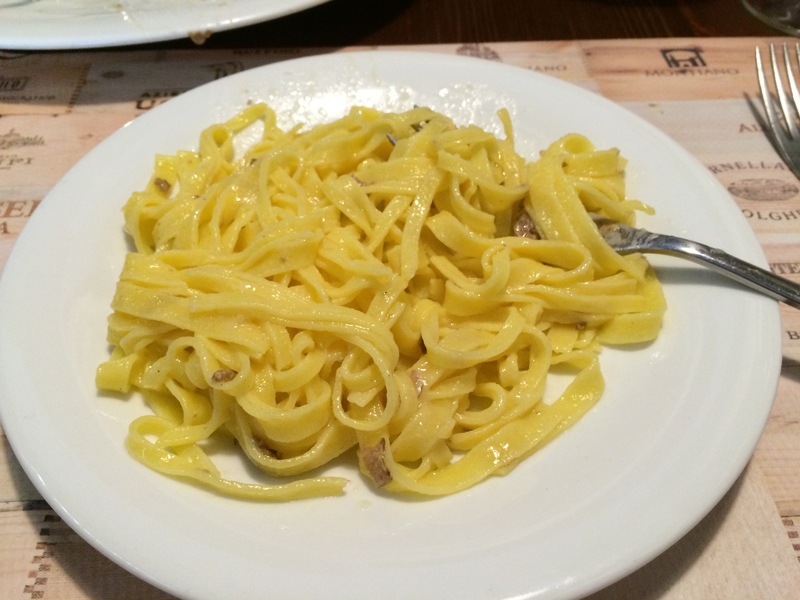 Although this plate of pasta doesn’t look like much, shaved white truffles were scattered in its buttery midst, creating one of the best dishes I’ve ever eaten. 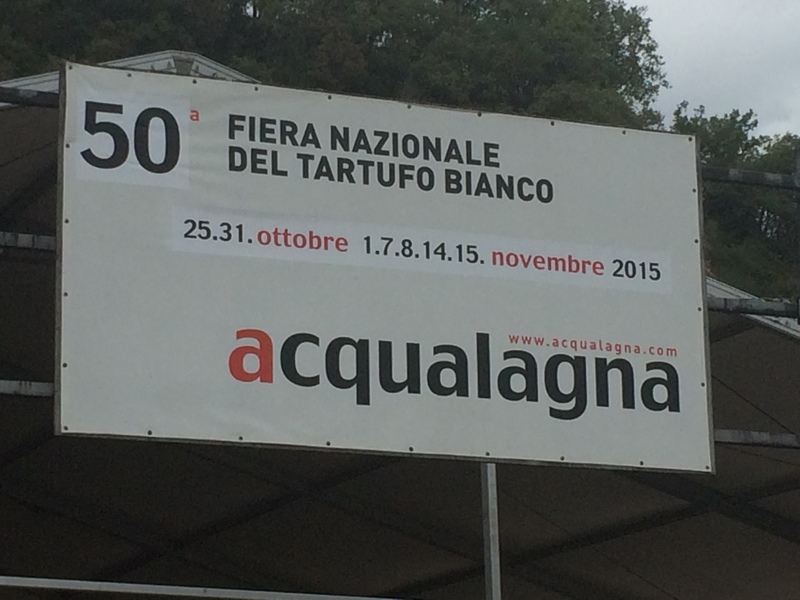 This entry was posted in Travel and tagged black truffles, Italy, white truffles. Bookmark the permalink. This has made me crave truffles but doubt I’ll find a dish with truffle where I plan to go again!